You may have noticed that for the past few months I’ve seldom blogged. I could make excuses like I was too busy or life got in the way, but the reality is that I just didn’t feel inclined to blog. I believe my writing time should be spent on penning my next novel rather than writing posts that do nothing to advance that project. I do recognize, however, that technology and social media has changed the relationship of writers to readers. I remember when a novel stood on its own, irregardless of who wrote it, because the story, the characters, and the language was all that mattered. One of my favourite quotes, and one I agree with, is from Daphne du Maurier: “Writers should be read, but neither seen nor heard.” However, today’s authors must create an online presence as well as write good books. They must interact with their readers through all kinds of social media; people want to “friend” them on Facebook and follow them on Twitter. Writers must interact online, post blogs, do blog tours. In essence, today’s authors have to do all kinds of writing that does not further their writing. I acknowledge that since I am a little-known author, it is in my best interest (and that of my books) to cultivate my online presence. So I have a website, I post on my Facebook Author Page (sometimes), I set up a Twitter account (although I seldom tweet), and I have this blog. Yet, despite my commitment to my author career, and despite common sense telling me to get on with what needs to be done in support of it, I still participate very little in the social media game. Is my lack of posting a form of rebellion? Perhaps. 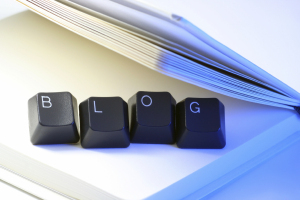 I’m curious: Do you think authors should blog regularly? Is it important to you to be able to interact online with an author?